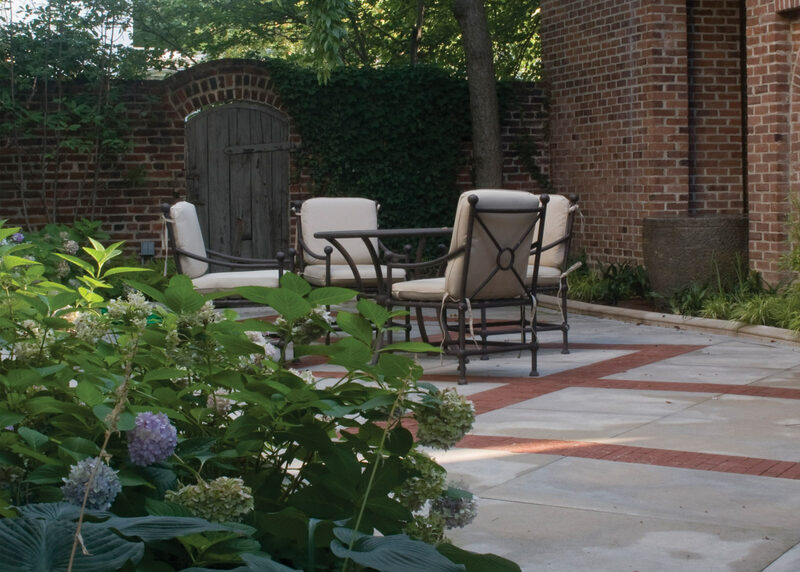 25 years after the initial commission, OvS returned to a courtyard garden in Georgetown, reinterpreting the site to reflect the new residents’ lifestyle: outdoor entertaining and social activity. The encore design expands the limestone and brick terrace, accenting the primary paving pattern by reversing the use of materials. Whereas the original red bricks are accented with limestone stringers, the new terrace’s limestone slabs are bordered by thin bands of red brick. The visually divided spaces set apart the dining terrace from the pool terrace, avoiding a sense of monotony that might result from repetition of the original paving pattern. 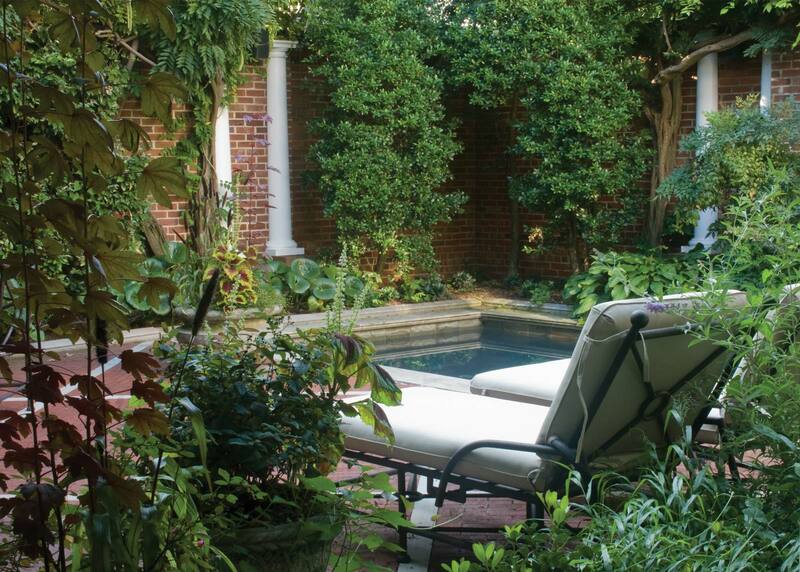 The terrace renovation allows for 50 seated guests in the garden of an urban rowhouse. The interior of the swimming pool, repainted with ultramarine paint, causes the water’s surface to draw in light by reflecting the sun and surrounding scenes. Generous plantings spill over edges and climb skyward, softening the garden’s masonry and enhancing the interplay between shadow and light. These visually-assertive perennials brighten a space that is shaded by surrounding neighborhood trees. 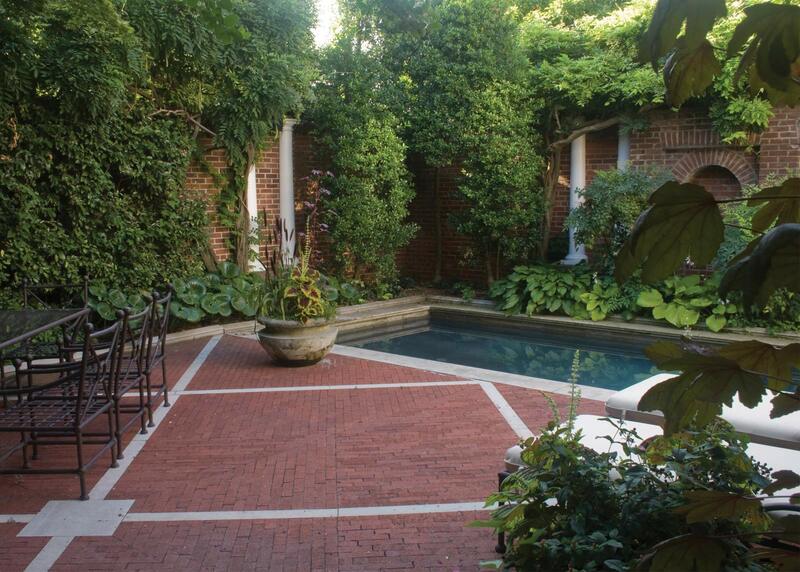 Fountains, strategically placed at the garden’s entrance and within the pool, buffer the garden from the din of a bustling neighborhood.